High-Res Concept Art Reward is Now Available! 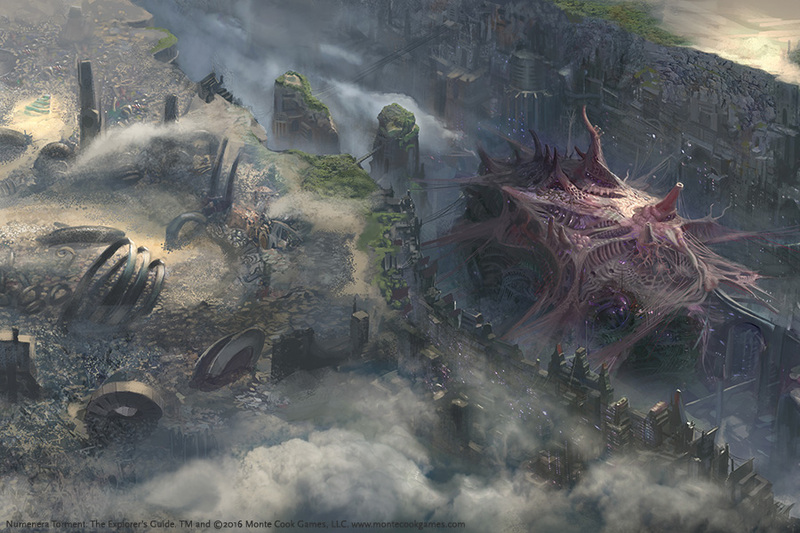 Announcements & media coverage for Torment: Tides of Numenera. Only moderators & inXile can make new threads on this forum. We have a treat for backers today - the High-Res Concept Art reward included in many of our reward levels and as an add-on is now available for download! This reward includes three separate high-resolution packs of concept art from the game's locations, characters and objects, and specific game scenes, and gives a glimpse into some of the game's world and its development. To find this, go to your Rewards page and then click on the "Downloads" button underneath your particular reward package that includes the High-Res Concept Art reward - you'll see buttons allowing you to download all three picture packs. Enjoy! Re: High-Res Concept Art Reward is Now Available! Hui, looks like awesome stuff. I guess that the collection is still work in progress right now. And the work that is already in is already great, so I´m fine so far. I feel seriously mislead here. On top of all the other issues I'm having with Inxile can someone please explain why we haven't actually recieved half of the known concept art work. Why exactly are we not being given access to something that is a reward? To make things worse you've been teasing us with it on facebook throughout the holidays. I just don't understand. Lastly, I just wanted to point out that several pieces of artwork that have never been seen before are cropping up on Techland's website. Can I please just get a answer to why I'm not getting any of this artwork? Thanks for the link, that first one of the Bloom-Area looks awesome! anonymous6059 wrote: I feel seriously mislead here. On top of all the other issues I'm having with Inxile can someone please explain why we haven't actually recieved half of the known concept art work. Why exactly are we not being given access to something that is a reward? To make things worse you've been teasing us with it on facebook throughout the holidays. I just don't understand. The high-res concept art reward is a pack of exactly what it says - a selection of high-res concept art. We never suggested it would contain every single piece of concept art, and it's also not meant to replace the full art book reward. Some of the pieces you linked to were created by Techland for promotional purposes; they weren't produced by us and were never used as concept art during development. Some of those art pieces might appear in the art book, however. I can completly understand your general stance (espacially concerning the Techland-Stuff) BTW. Well, how can we go about asking for hi-res versions of those pieces of art? i think that there is one or two produced by MCG (view of the bloom and city together; linked above) that I'd really like having as wallpapers as well. Should I request this through Techland and MCG independently or can you get the rights to distribute TToN's artwork at some point? I figure it being your game you'd be able to give us the artwork if anyone can. I understand that not all concept art will be in the concept art reward, though that is pretty confusing you have to admit. I just don't understand why its being distributed on facebook. The concept art for the portraits and other pictures I linked above were posted I assume by you or whoever runs the Facebook page. These pieces of art are not available to us. So to me its a little aggravating that its being used on facebook as teaser material. I don't think its a exaggeration when I say that the concept art reward was a bit minuscule. I was expecting at least a couple dozen items, portraits, wallpapers, sketches, and more. Can we at least get some more of the wallpapers so we can show our support? Where did you get the idea that all the concept-art will and should be available to backers? And why can't they share some never-seen art on their Facebook page, what's wrong with that? Too much entitlement in my opinion. Tuth wrote: Where did you get the idea that all the concept-art will and should be available to backers? And why can't they share some never-seen art on their Facebook page, what's wrong with that? Too much entitlement in my opinion. I got that Idea because I purchased the "concept-art" reward. If you've seen the reward or purchased it I think you'd agree. It is laughable that they'd consider it a reward. It has almost nothing in it at all. You can find more artwork on other sites like facebook, techland site, MCG site, and other places than you can in the actual reward. I think that is a bit backwards. When you purchase concept art you expect to get something more than what is already floating around on the web. Instead we got a handful of screenshots mixed in with pictures that everyone has already seen. The only exclusive artwork is everywhere else. The worst part is that they obviously do have lots more concept art because they've been showing low resolution copies on facebook as teaser material. If they aren't going to add it to the reward I'd rather they didn't flaunt it. Just add it to the artbook as I can at least feel like that was worth purchasing. I'm just asking for basic artwork with the reward that I purchased. Shouldn't concept art at least contain a handful of sketches? I mean it is supposed to be concept art. How is asking for something "Entitlement"? I'm not demanding it or throwing a fit. I purchased concept art and I'd like to have what I purchased. I'm not asking for anything that I didn't pay for. [Side-Note] Why doesn't Inxile have a wallpaper/artwork section on their site? My main issue is that the artwork isn't collected but dispersed all over the place. This is what I was really hoping the reward was going to do. Also, the most ironic and annoying part of this is that Sear linked the only good "new" piece of artwork at the beginning of this thread, The picture of the Tabaht. So that sort of ruined the whole point of purchasing the reward since he made it available immediately to everyone. Wanted to redownload the art, but the link is dead. It´s the only part of the reward stuff that is missing in my backup; terrible mistake. And all that content is still missing in the GOG library BTW. Could you please be so kind and fix one or both issues?